Jackson 4-H Volunteer Terri Hardin. Jackson County 4-H volunteer club leader Terri Hardin wears many hats. 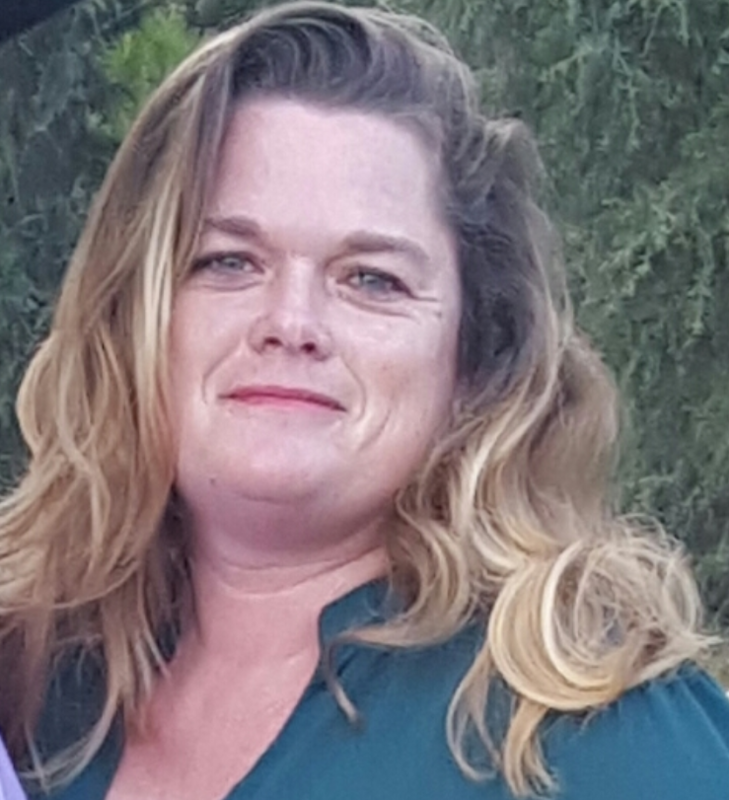 From working with youth at Golson Elementary School to working on her family ranch in Grand Ridge, Terri is one busy lady! Somehow though she manages to find time to meet with the youth in the Country Bumpkins 4-H Club she started five years ago. The club meets monthly at a community center in Cypress in East Jackson County. Terri moved to Jackson County from Oxford, Texas in 2005 and is married to Jerry Hardin. They have two daughters and two sons. Daughter Gerri participated in 4-H and FFA and is now pursuing a Bachelor’s Degree in Art at Florida State University. Daughter Faith is a sophomore at Marianna High School and is also in 4-H and FFA. Son Sheldon is a supervisor at a lumber company and son Tyler manages a recycling facility in Arizona. Terri is also expecting her first grandchild in August. Terri did not participate in 4-H or FFA growing up. However, since coming to Florida, along with her work with Jackson County 4-H, she has volunteered with the FFA Chapter of Sneads, helped start the Grand Ridge FFA Alumni and served as president for three years. She helped reactivate the Marianna FFA Alumni and currently serves as president. The youth in Terri’s 4-H club have opportunities to explore any project they want. Their projects range from poultry and livestock production, exhibition and judging to geo caching. Terri also makes sure that her youth know the value of giving back. 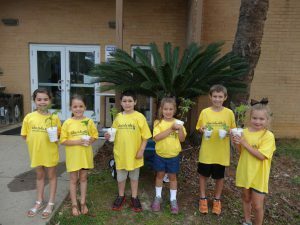 They do multiple community service projects each year that include tree planting, cleanup of local parks, collecting books and collecting food for local food pantries. Terri and her club contributed clothing for adults and children during Jackson 4-H’s efforts to help victims of Hurricane Irma in 2017. Terri’s inspiration is the need she sees to help youth and adults who are less fortunate and to improve the community she lives in. Terri’s 4-H volunteer work meets the needs of those who might not have that opportunity otherwise. That much is evident in the number of youth who have been a part of Terri’s 4-H club and their accomplishments. Terri shared that she has seen evidence of growth and development in the youth she has worked with over the past five years in their maturity, their ability to get along with others and the fact that they have stepped outside their comfort zones by exploring and expanding their fields of interest. Terri sees the need for 4-H volunteers in her community and schools. She suggests that anyone interested in 4-H consider volunteering at a school to see the needs that young people have and the guidance they need to succeed in today’s world. Jackson 4-H is fortunate to have Terri working with youth and adults to help “make the best better”! 4-H offers a broad spectrum of projects and activities to serve a variety of interests, skills, and knowledge. If you or someone you know would like to learn more about 4-H, contact your local Extension Office. April is a month of many celebrations. Included in April’s celebrations is National Volunteer Appreciation Week. Our aim this month is to recognize some of the many dedicated 4-H volunteers that impact our youth in so many different ways. From robotics to agriculture, we have numerous outstanding volunteers that dedicate many hours and are rewarded with the joys of the impacts they make to our future leaders. 4-H Shooting Sports is one of the largest youth development programs in the United States. Our aim is for certified volunteer instructors to teach young people to learn responsibility, self-confidence, and leadership abilities through the skills and disciplines of shooting sports such as archery. Though arrows are unpredictable and independent from the bow, archers depend on the bow to be the unchanging factor in an otherwise deliberate sport. Aim, draw and stance can determine the trajectory of each shot, but the bow always remains the constant, the foundation in the sport. As a 4-H Agent, one can parallel archery to life as a 4-Her. As unpredictable as an arrow can be, it depends on the archer and the bow to make the shot. Life guides 4-Hers to try new things and take exciting adventures, but they still want and need a positive adult role model to rely on and guide them. Everyone needs a “bow,” that someone they can count on to be consistent in their lives. This is the relationship between a 4-Her and his or her 4-H volunteers; a sturdy foundation that fosters independence, confidence, and mastery of skills. Even as the archer loves the arrow that flies, so too he loves the bow that remains constant. Meet Randy Adams, a Holmes County 4-H Volunteer, certified 4-H Archery Instructor, Club Leader for the past 4 years, and “archery bow” for many a 4-Her. 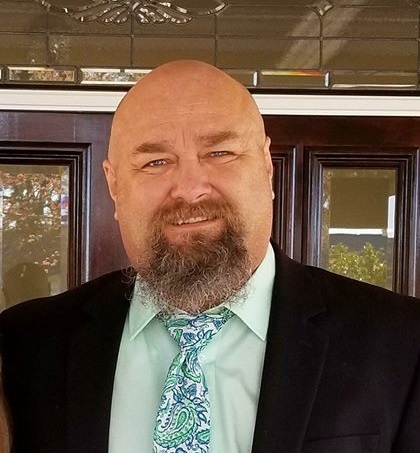 Mr. Randy has been working with his 4-H club, the Dead Center Archery Club, on the safe and responsible use of the bow and arrow and believes he is passing on skills that some kids would not have the opportunity to learn otherwise. He leads his club by example, humor, and with ease. When asked what he found most challenging about volunteering, Mr. Randy stated having the extra energy to keep up with the kids in the afternoon! Mr. Randy is an inspiration to his community and his 4-H family. Not letting some of his own health challenges stop him from his passion to help others, give back to his community and his love for archery and turkey hunting, he has pressed on to ensure that he teaches his hunting and archery skills, lead club meetings, and raise funds to assist youth to attend their first 4-H archery competitions and helped a 4-H family when illness struck. A true example of 4-H leadership through the four H’s of Head, Heart, Hands, and Health, Mr. Randy teaches local youth many skills in his 4-H archery club. He reminds us that some of the greatest lessons learned in life are the simple ones – Life is not about winning, it is about succeeding. It is about a volunteer helping a 4-Her gain the courage to take a first shot and hitting the target. 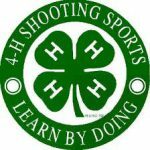 To find out how you could impact our youth as a volunteer in your local UF IFAS County Extension Office, or for more information about programs like 4-H shooting sports, please visit http://florida4h.org. 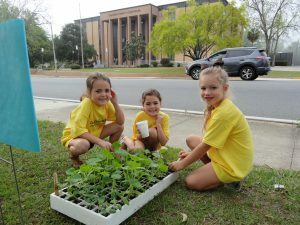 These 4-H’ers started their own seeds and sold them in a plant sale to raise money to help feed hungry children in their communities. It seems like as the weather warms, we all start itching to get outside. A favorite outdoor project of many of our 4-H’ers is starting plants from seeds. There is something exciting and satisfying about raising your own vegies or flowers from seed. If you’ve never started your own seedlings before, you’re in for a treat. It’s not as hard as you may think. Seeds can be purchased locally at any feed and seed store, nursery, or garden center. Follow the planting instructions on the package, and don’t be afraid to ask store employees for advice. We also have vegetable planting guides at your local Extension office with best times to plant, planting depths, seed and row spacing, etc. These are free of charge, so feel free to call, email, or stop by to pick one up. For first timers, now is the time to research. Get your plan together for what you’re planting and when it needs to be sewn. Then start collecting containers. Special seed trays can be purchased, or you can recycle old nursery trays and pots if they’re cleaned properly with a mild solution of bleach and water and rinsed well. You can also use disposable cups, newspapers can be turned into biodegradable pots very easily, or you can sew seeds in old deli trays, rotisserie chicken containers, milk jugs, almost anything that will hold a couple inches of soil. Seed starting is a great project for all 4-H’ers and it’s a great way to teach responsibility, record keeping, teamwork, and care for living things. These 4-H’ers are working together to fill orders at the plant sale. They started these plants from seed. For more information on 4-H gardening programs, contact your local 4-H agent.